Unfinished: Summer Reading 2013: How Much Will My Toddlers Actually Allow Me to Read? Summer Reading 2013: How Much Will My Toddlers Actually Allow Me to Read? Ambitious, I know! Having a summer reading list when trying to raise toddler twins is like attempting to walk over a cable stretched across the Grand Canyon. Only difference being while I try to cross, two sets of tiny hands shake the cable from both sides of the ravine. 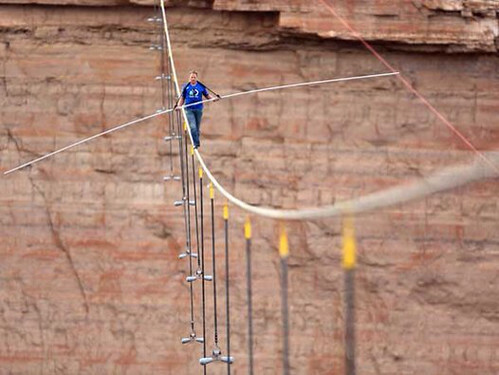 I may even have to hop over a stray lego or baby doll and thus surpass Nik Wallenda's level of difficulty. Despite the boldness or unattainable nature, here is what I am reading (or attempting to read) this summer. Feel free to also check me out on Good Reads.